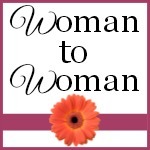 Join me at Woman to Woman Magazine and Blog! I am so excited to be joining the Woman to Woman Magazine and writing community! You can follow this great group of women and find out more about them through their website and blog. Sign up to receive their magazine and enjoy encouragement from women just like you. I write for their magazine each quarter and for their blog each month. You’ll love reading about recipes, relationships and spiritual growth. Read this month’s “Scripture Sunday” post by clicking here. Enjoy and thank you for being a part of this community – you’re wonderful! The last 2 weeks have been amazing. If anyone remembers what it feels like to share a personal story in front of their peers (flashback to High School creative writing class) – you know it can be a very nerve-wracking, confidence-crushing experience. Thankfully this blog tour has been just the opposite. I’ve been surprised, encouraged and most importantly – reminded that this entire thing – every word, concept and challenge – has been God’s idea from start to finish. While writing this study I spent many days sitting in front of my computer with tears streaming down my face as God spoke to ME through the words I was typing. It’s an amazing experience to be put together, shaped up and equipped by God – it’s a humbling one as well. I’m continually going through this cycle and my prayer is that a mom, stepmom, or grandma will complete this study and smile as she sees God’s hand at work in her life. This blog tour has allowed me to meet some amazing women and the best part is hearing how the study impacted their life and what they found useful. Here are some of my favorite quotes from the last 2 weeks – I hope you’ll take time to read the posts from these moms – they are great women! “Sometimes you just need simple terms to get the big picture. This book was wonderful at doing that for me. maybe even allow a little toddler tv, and just read this book. It will be a balm for your soul.” – LOVE IT! “The thought of doing a Mommy Bible study was right up my alley. What I didn’t realize was how powerful, the study actually was. It was love at first read! I felt like Kasey was personally talking to me! She understood my feelings of putting my kids and family first while neglecting what I need/want out of life. She understood my fear of not being needed as my children grow. She took all of these fears and concerns that I have about Motherhood and provide lessons, scripture and worksheets to help me work through them. She was inspirational, genuine and knowledgeable. If you are struggling with your journey through Motherhood or searching for a tool to help transform you into the best mother you can be, I highly suggest this book! Jessica and Kristy have a wonderful ministry through their site, Grace for Moms. They were so excited about the study they offered their readers an opportunity to complete the study with them through an online study group. If you’re interested in joining, please let them know! While you’re on their site you can read the 5 questions they asked me and my 5 answers – I love these ladies and their honesty. They know how to keep things simple and useful – they even gave some books away! So fun!! “After going through this book, I not only felt like my life is validated, but also enhanced. 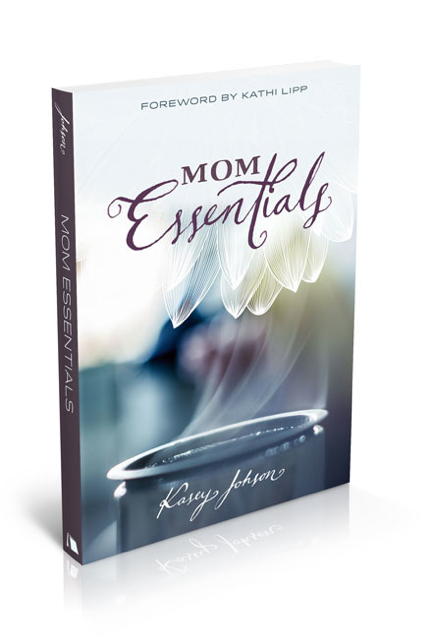 “I highly recommend this book to any mom in need of some direction of how to balance out the “essentials” and the “extras”! So….here we are. It’s the jumping off point. We’ve prepared, planned and explored this study and now it’s time for action. Will you “jump in” with me? Would you pray about what your next step is for your neighbors, friends, church or work? Maybe God is calling you to gather some women of all ages together to help them find encouragement and community. You don’t have to have all the answers, but you can be the one to show others where to find the answers – through scripture. I can’t wait to hear stories of how you utilized this study and what God did through your group. Don’t forget about the free introduction and closing videos (scroll down on the linked page and you’ll see them listed), leader’s guide and Facebook page. All these resources are here to support you and your friends as you go through the study. A HUGE thank you to all the bloggers and mommies who took time to be a part of this tour. You’ve warmed my heart and ministered to my spirit. Let’s jump in a do this thing! Here we are – the middle of the blog tour and I have to say, it’s been quite an experience. I wasn’t sure how blog tours really worked and when my publisher suggested we do this to help promote Mom Essentials I thought it sounded like a great idea! Then I found out some of the bloggers would be reading the book and posting their honest review of it – YIKES! After working on this study for over 3 years I have become incredibly connected with the content and the vision God placed on my heart to have this study reach mothers of all ages across the United States. To think someone might not like what is written in the pages is a reality I constantly surrender to God – knowing I was obedient in what was asked of me and I can’t fret over how it’s used or who likes it. However, thanks to this blog tour I’ve been able to read some honest feedback that reminds me – this is GOD’S PROJECT – not mine and He is moving and working through this project – praise the Lord!!! You are VITAL to God’s plan for our families and our communities. In case you missed any of the great stories, reviews or connections from our tour – the links are below. These are some great moms with awesome perspectives. The tour continues tomorrow! Follow me on Twitter and Facebook to stay connected – love you all! Today we’re spending time with Kathi Lipp! She’s the author, speaker and encourager who wrote the forward for Mom Essentials – so you’ll get to read her words before beginning the study… So exciting! Also, check out Kathi’s latest book project, “The Cure For The Perfect Life” with Cheri Gregory too! Kathi and I also recorded a podcast! It’ll be out tomorrow – so get ready! I so appreciate your support and energy to help us spread the word! Because you guys are so brilliant and amazing, I’m reaching out to you for some help. I need to move this Bible Study off the shelves of book stores so fast their heads spin! I love being women who make waves and upset systems – don’t you!? Okay, maybe I’m alone in that pursuit – but I would love to see the Smarter Moms community come together and show my publisher how many moms want to grow individually and as a group. Forward this email to everyone you know, talk to your pastor, your neighbors, your mom’s group leadership…and let’s make this happen! 1. Introductory and closing videos you can download for FREE! 3. A weekly connection to a blog tour we’ll be doing so you can discover all the amazing mom blogs out there and what they think of Mom Essentials. To help get you started, click HERE to download a chapter for FREE!!! Click on the links below and let’s do this thing! Head over to Amazon or Barnes and Noble and order away! Get a bunch of books for your mother’s group or those sweet friends you meet at the playground – you can do this! Thank you for being so amazing and being such an important part of this journey – you are wonderful!!! The last 30 days are a bit of a blur for me. Have you ever endured a season of life when you were wrestling with God, trying to hold on to your sanity, balancing all the demands on your time and you realize your two hands and one mind just aren’t enough? Yeah – it’s been one of those months. My children are growing up and that’s a good thing. But as each year goes by, my life changes right along with them. Our youngest son will be headed to Kindergarten this year and my life of playgroup, playdates and playtime with my little guy are coming to an end. I had always planned on going back to teaching when our youngest headed to school. It seemed like the natural and necessary thing to do. We’re like everyone else with bills to pay and although I LOVE speaking to groups and writing; the demands on our budget are sometimes greater than what I can earn. So God and I wrestled, God won, and I’m now going to teach the one subject I thought I would NEVER want to teach again: Choral music. Music is a huge part of my life, it always has been, but after teaching it and leading worship for so many years I was ready for a change. God has done a beautiful work in my heart and spirit because I am now dreaming, thinking and becoming excited about what God has in store for me, for the students I’ll meet and the songs He’ll lead me to. I’ve never taught at a Christian school – I’m not sure what it will be like, but I have learned something very important during this last month and my husband gets all the credit. As we prayed and talked about the options for my employment Matt said, “Babe, I wonder if God is trying to save you from yourself”. At first I was a little offended, but I trust Matt and he only says things out of love so I asked him to explain. He went on to admit that I would be a great English teacher but the fact remained that I’ve never taught the subject before. Learning the curriculum, content and outcomes for English takes a ton of time and energy – it’s like being a first year teacher in some ways. Along with the new content, Matt reminded me that I haven’t held a full-time position in almost 10 years. Having a full-time job will bring new challenges and a change of lifestyle. So with that change would I really want to be learning a new subject area and deal with all the details that come when I’m on a different schedule as my children. I realized my husband had a perspective that was exactly what I needed to hear. After all the praying, talking, justifying and sometimes arguing with God I was finally ready to listen. So I did it. I released my expectation to teach English in the public schools and signed a contract to build a music program for grades 7-12 at the Christian school. Can you guess what happened the NEXT day?!?!?!?! Yep – the school district called and offered me a job. You would think I would feel cheated or disappointed, but once again God came in like a flood, provided me with peace and affirmed this direction for my season of life. I’m starting a new season and it’s going to be interesting. Many of you have written and asked me to come speak to your group and I’m happy to say that I am going to do ALL I can to accommodate your requests. Although evening groups and weekend retreats are the only events we can secure right now, some groups that meet during the day will work too! I’m waiting to see what my teaching schedule is like and I hope to accommodate as many daytime groups as possible so send us your requests and Keri will follow-up with you. I hope you’ve had a wonderful month, full of adventures and discoveries. I can’t wait to see what the next month holds – only the Lord knows and I’m focused on seeking His guiding hand and listening to His wise voice. Thank you for being on this journey with me – you inspire me and keep me going! You are loved, prayed for and important to me – we’re in this motherhood thing together! Oh my goodness! My eyes have been opened! After some of you asked if everything was okay on this end of our cyber-connected relationship, I realized how long it’s been since I’ve posted anything! So sorry for the silence. Soooooo thankful for your patience and support. I have lots to share with you and soon I’ll be back on top of things – I promise! I hope you enjoy it…I was super nervous, probably talked too fast, but it was so much fun to hear from Jenny and her team.